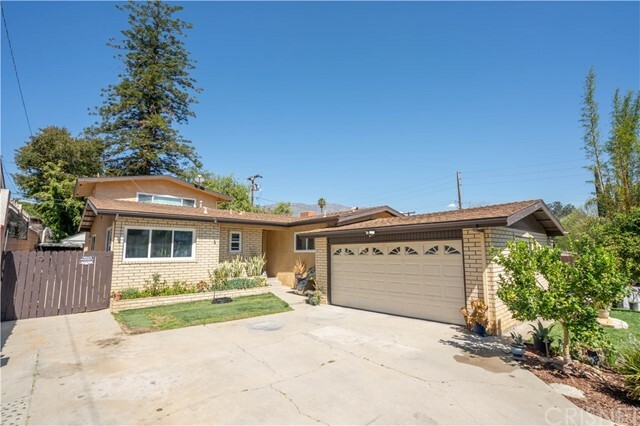 All Santa Paula homes currently listed for sale in Santa Paula as of 04/25/2019 are shown below. You can change the search criteria at any time by pressing the 'Change Search' button below. "The Historic Jaycox House built in 1926 is available for the first time in 20 years! This amazing property was the first home built on the street & sits on a 9333 sq ft lot at the highest point on lovely Terracina Drive on Hospital Hill. This charming property has the feel of Tuscany with a Vintage Fountain surrounded by an English Rose Garden & Cabernet Grape Vines. The large entertaining deck looks down to a sunken shade garden. Lovingly Restored, this cottage-style home has incredible valley & city views. Attention to details abound. The Main home features 2 bdrms & 1.5 baths w/original wood floors, beams & window seats. The whole home is light, bright & airy. The open living room boasts of a beautiful fireplace & French doors. Plus, an enchanting dining room looks to a kitchen w/a view window box. The Guest Quarters/Artist Studio is approx 1431 sq ft w/amazing vaulted ceilings, 1 bedroom & 1 bath & features an outdoor Loggia w/fireplace overlooking gorgeous gardens w/mountain & valley views. The Home, Guest Quarters & Property offers a feeling of Romance and Casual European Elegance. It is really too special to describe. Located in Charming & Historic Santa Paula w/great restaurants, tree-lined streets and Cool Downtown and Airport."